6.1 oz 100% preshrunk ringspun cotton. Ash is 99% cotton, 1% polyester. Light Steel is 90% cotton, 10% polyester. Double-needle coverseamed neck; shoulder-to-shoulder taping; tagless; five-point left-chest pocket; lay-flat collar. Standard fit. Durable Ultra-soft cotton provides a worn-in feel. Pocket adds a formal touch to all your casual needs. Suitable for all casual occasions. 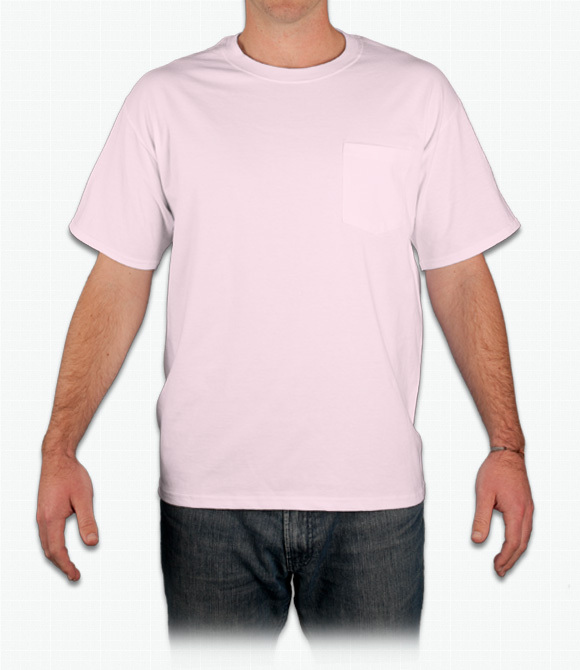 "Shirts are good quality and seem to be pretty durable. Took the screen printing on the shirt well. " "Great quality shirt. The shirt is very soft and barely shrinks at all. Color looks great on the shirt!" "Very nice and please never get rid of pocket tees. They look good and fit nice too."